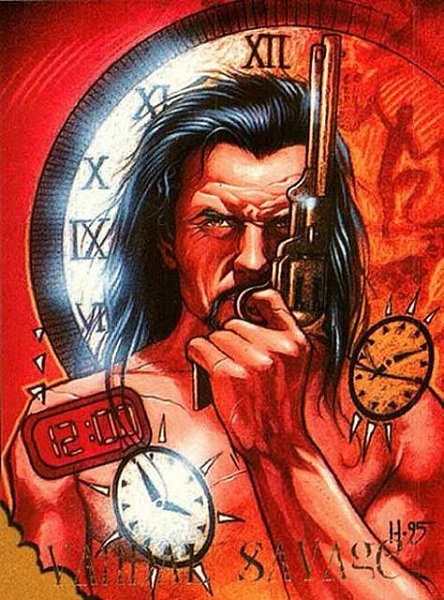 Fusion fiction is a growing genre in recent years uniting several different genres together in a single work that readily do not generally align. 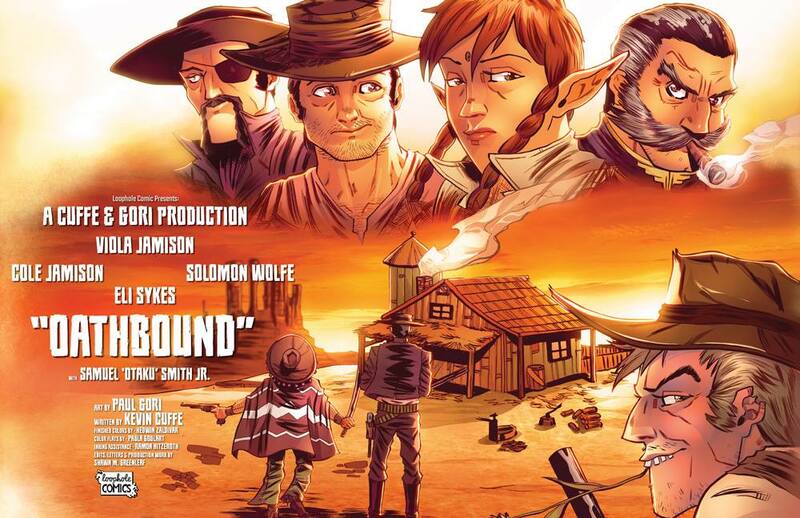 Such an example is that of the new comic book series Oathbound. 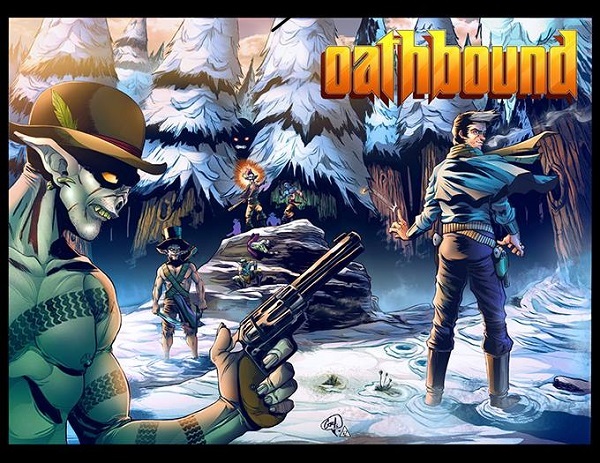 Created by Kevin Cuffe (Iron Skull, Elvis Adventures) and Paul Gori (Astropunk, Psychopath) and published through Loophole Comics, Oathbound pairs together the genres of Fantasy and Western. Set in the late-19th century American west, the story centers around half-elven teenager Viola and her human father Cole Jamison in the wake of a civil war that saw the enslavement of the elven race by humanity. Trying to live a life of peace in the wilderness, Cole’s past as an outlaw returns to haunt him drawing he and his daughter into danger. Crowdfunded through Kickstarter, the first physical copies of the initial issue are being shipped now to backers as the second issue is in development projected to be released in February. In the first issue, the backstory of how Cole met and courted Lyra of the Moonshadow Elves is explored while establishing the series’ world and the various races inhabiting it. Very much portrayed like a Spaghetti Western only with raptors (ostrich-like steeds perhaps heralding back to a misfit toy from Rudolph the Red-Nosed Reindeer), leprechauns, and elves, the first issue chronicles a stagecoach robbery executed by Cole and his gang. Unique about the opening sequence is its homage to director Sergio Leone’s signature style featuring a landscape and then close-up (in this instance, a jackalope) as the creative team is identified in a manner not unlike introductory sequences in The Good, the Bad and the Ugly (1966). Fast forward twenty years where Cole is a single father raising his daughter in the wilderness of the Sierra Nevada Mountains celebrating her fifteenth birthday, the day takes an unexpected turn when their hunting grounds are disturbed by unwelcome guests. What’s interesting about the issue is while the first half dealt with a common trope of westerns where some pieces were interchanged for some supernatural elements, the second half very much begins to delve deeper into its fantasy aspects with unnatural creatures and perhaps magic (as the mysterious character identified as the Shadowman is only yet just touched upon). Feeling a bit like Lord of the Rings as done by Sergio Leone, the twenty five full color pages of the comic can be consumed rather quickly leaving a strong desire for more only to realize it will be some months before the next piece of the story will be available. The art of Paul Gori is the ideal middle ground for a comic book, being neither too cartoony or realistic but with very deep, defining inking that raises the piece to feel more three-dimensional. This is very much accentuated by the rich coloring by Hedwin Zaldivar which makes the art pop and almost leap off the page. The story itself is very much a tease, giving you a taste of what’s in store while putting the pieces in place to lay its groundwork. It’s certainly worth stepping into the world of Oathbound and hopefully February 2017 will not feel as far away as it sounds. You can keep up-to-date with the development of Oathbound (including when it will be available outside of its Kickstarter backers) on Facebook and Loophole Comics’ website. On Twitter, you can follow the book’s creators Kevin Cuffe and Paul Gori.